Olubankole Wellington who is popularly known as Banky W is a Nigerian singer, songwriter and actor born on March 27, 1981. Banky W was born in New York, United States to Nigerian parents and his family moved back to Nigeria when he was just five years old. He had both his primary and secondary in Lagos and returned back to New York to obtain a degree in Engineering at Rensselaer Polytechnic Institute. Also known as Mr Capable and Mr W, started singing at a very tender age while in the church choir. He started a record lable Empire Mates Entertainment (E.M.E) while still at school. After moving back to Nigeria in 2009, He signed the likes of Shaydee, Wizkid, and Niyola to the label. Banky W had eventually came to limelight with the release of his cover to Rihanna’s song “Umbrella” which he titled “Ebute Meta”. He has five albums to his credit; Undeniable (2003), Back in the Building (2005), Mr Capable (2008), The W Experience (2009) and R&BW (2013) and with a compilation album Empire Mates State of Mind (2012). Ever since Banky came to limelight, he has been dropping hit singles back to back from Jasi, Jaiye Orimi, Made For You, to All I Want is You featuring Chidinma. Banky W is also an actor notable for his lead role in the Nigerian blockbuster movie “Wedding Party”. On November 11, 2018, he declared his intention to run for a set in Nigeria’s House of Representatives, representing Lagos Eti-Osa Federal Constituency. 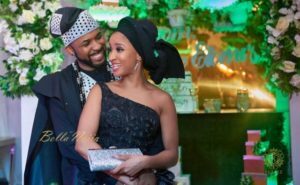 Banky W got married to the nollywood actress, Adesua Etomi in a traditional wedding anniversary on November 19, 2017 and a white wedding in South Africa on November 25, 2017. He also had a successful skin cancer surgery on his shoulder in 2017. 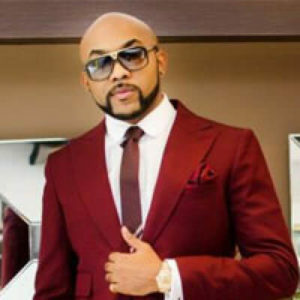 Banky W has won numerous awards such as Best R&B singer at 2010 City People Entertainment Awards,R&B single of the year at 2010 Hip Hop World Awards, Best Male Vocal Performance, Hip hop World Awards (2009) and many others. Banky W is one of the most influential Nigerian singer with an estimated net worth of $10 million dollars.